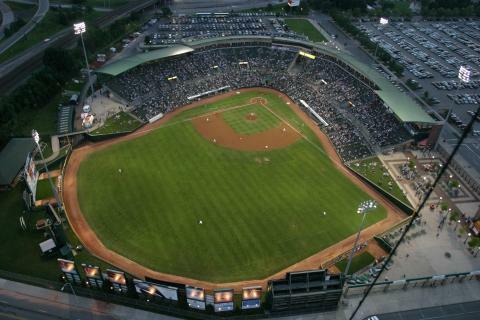 Home to the Triple-A Rochester Red Wings, an affiliate of the Minnesota Twins. There are 10,840 seats, but has the capacity to hold an additional 3,000 with added bleachers and standing room areas. Rochester’s major indoor arena has a general admission of 14,000. The arena is home to the Rochester Americans (AHL), Rochester Knighthawks (NLL), Rochester Razorsharks (NAPB), and Rochester Lancers (MISL). 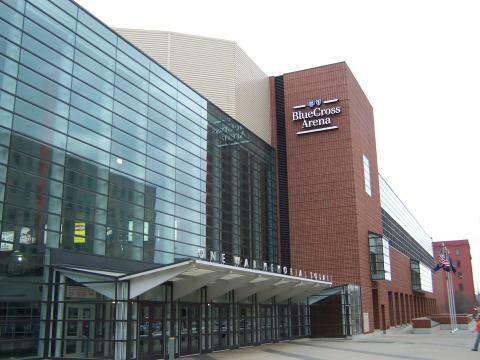 The Blue Cross Arena has also been the host of the Atlantic Hockey Championships, NCAA Division I Hockey Regionals, NCAA Division I Basketball games, NHL Regular season hockey games, an NBA preseason game and much more! Marina Auto Stadium is equipped with field turf and has seating for 13,500. 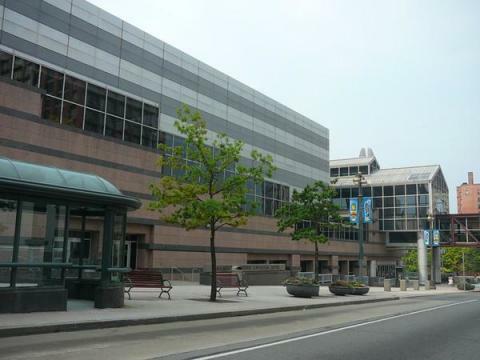 Conveniently located in the heart of Rochester, the Rochester Riverside Convention Center enjoys a scenic setting on the Genesee River plus enclosed walkway connections to major hotels and parking garages. The Convention Center has over 100,000 square feet of meeting and function space. A 170,000 square-foot multi-purpose sports complex on 12 acres at Monroe Community College and includes four industry standard ice rinks with a main seating capacity of 2,500. The Bill Gray&apos;s Regional Iceplex has hosted the USA Hockey Festivals, USA Hockey National Championships, and many other youth and adult hockey tournaments. With 115,000 square feet of state of the art design and construction, Total Sports Experience is the ultimate sports center! Two boarded fields 185&apos; by 85&apos; and a boardess 80 yard by 50-yard field offers the best in soccer, lacrosse, football and field hockey action. 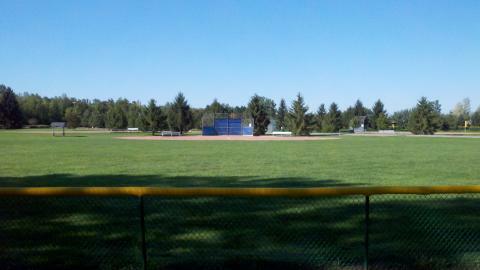 There are 14 outdoor grass multi-purpose fields. This Olympic Sized Pool (50 meters x 25 yards) is located on the campus of Webster Schroeder High School. 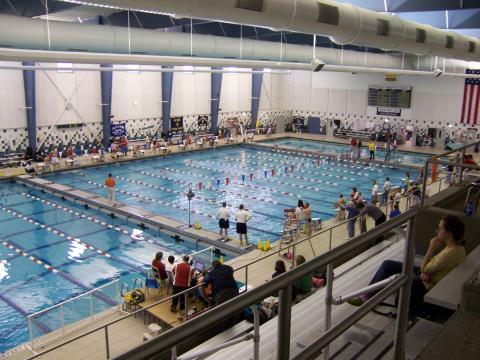 This state of the art facility plays host to a number of swimming and diving championships throughout the year. With restaurants and hotels right around the corner, the Webster Aquatic Center is an ideal place to host an event. Monroe County is home to seven colleges and universities with great athletic venues. Monroe Community College, Nazareth College, Roberts Wesleyan College, Rochester Institute of Technology (RIT), St. John Fisher College, SUNY Brockport, and University of Rochester are all located in Monroe County and just minutes from downtown Rochester. 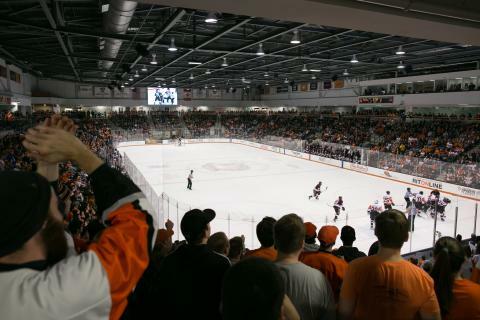 St. John Fisher College annually hosts the Buffalo Bills Training Camp and RIT is home of the Tigers, Division I Hockey program. The Rochester area has numerous high schools, public and private that have state-of-the-art facilities. From field turfed stadiums, to field houses to newly renovated gymnasiums, area schools offer a variety of great sporting venues. Monroe County offers thousands of acres of parkland. Whether you are looking for fields, shelters or gathering areas, with the diversity of parks in the Rochester area, you are sure to find one that suits your needs!